I am a MASSIVE fan of Stephen Fry and I ADORED the last episode so I have decided to live blog this new episode of Stephen Fry: Gadget Man. Wish me luck! 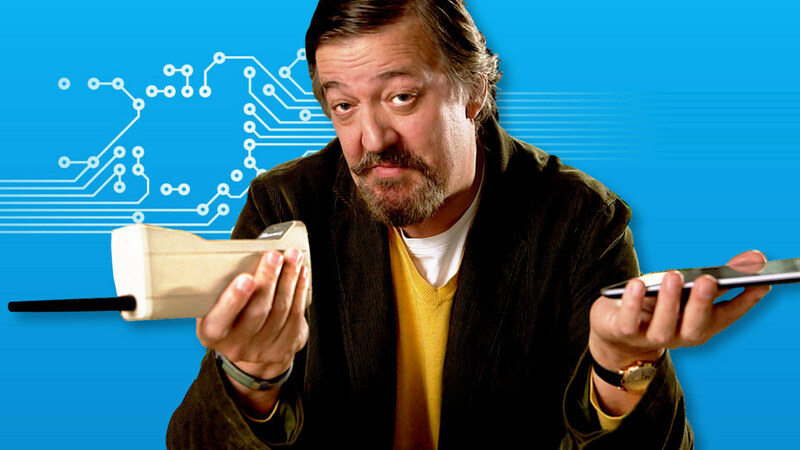 If you are not aware of this series, then it is basically Stephen Fry telling us about awesome gadgets. This episode promises to be particularly good as DERREN BROWN will appear at some point. It is annoying that it overlaps with the Gadget Show but that show has gone a little down hill since Suzi Perry left. 8:32 – No it’s not, it’s late. 8:33 – Here we go, here we go! 8:33 – HE’S GOT A BEARD! An awesome beard. 8:35 – Hee hee, his shopping trolley was stalking him. 8:36 – I like his fork. AHHHHHHH IT’S THE STALKER TROLLEY AGAIN! And it fancies Stephen Fry. Sweet. 8:39 – HE’S GOT A BATMOBILE!!! 8:39 – I like that little stirrer. It’s cute. OMG TOUCH SCREEN HOB! 8:42 – There’s an app for that. THERE’S AN APP THAT TELL YOU WHEN THE MEAT IS COOKED IN YOUR BBQ!!!!!!!!! 8:43 – I’m liking the gadgets of the past – CHOCOLATE FOUNTAIN! 8:44 – MOMENTARY FLASH OF DERREN BROWN OMG!!!!!!!!!!!!!!!!!!!!!!!!!!!!!!!!!!!!!!!!!!!!!!!!!!!!!!!!!!!!!!!!!!!!!!!!!!!!!!!!!!!!! 8:47 – Ooooo I like that vacum cleaner. 8:50 – I like his yellow jumper. SUCCULANT STEAK! 8:52 – My life is complete. Ahhhhhh DB. HE’S EATING SOUP! 8:54 – DB is so going to steal that thing. 8:55 – Oooooo Derren Brown is so clever. 8:56 – Why is he putting ice in a hamster ball? 8:57 – CHOCOLATE PRINTER! WOOOOOOOOOW!!!!!!!!!!!!!!!!!! DERREN BROWN CHOCOLATE!!!!!!!!!!!!!!!!!!!!!!!!!!!!!!!!!!!!!!!!!!!!!!!!!!!!!! 8:58 – I like his igloo. 9:00 – Help! It’s Lord Sugar! Oh poop it’s over. November 26, 2012. 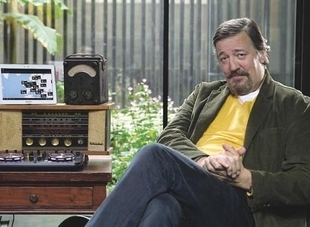 Tags: gadget man, stephen fry. Stuff we love, Uncategorized.